Hello there. In typical boring fashion, I've picked a super-hero for this week(though he is quite pulpy too. I could draw Batman all day. Fun fact; I drew this last week at a drink-and-draw so the greaywash; Ink and Cider. 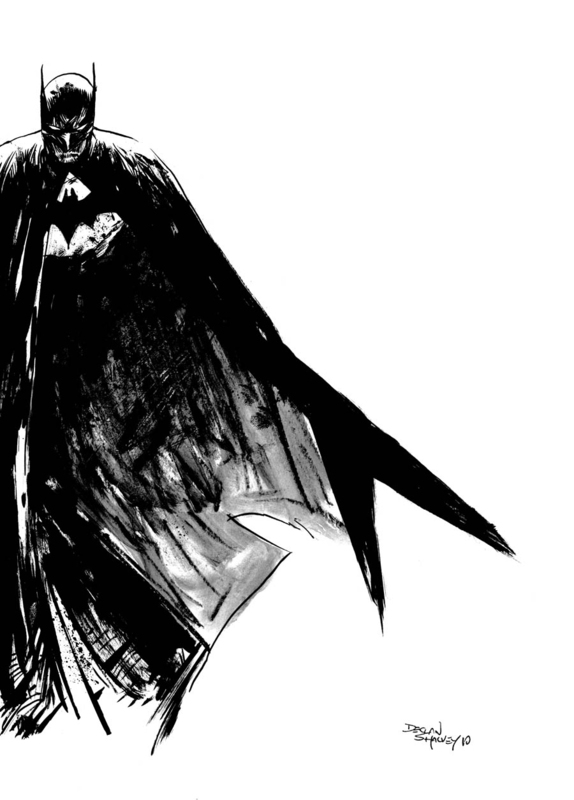 Extra fun-fact; Chris samnee has the original, so only he knows how much i had to clean this up on photoshop. Batman is such fun to draw; with the shadows and cape it makes it really fun to play with design and composition when drawing him. Really looking to seeing the versions all the other Twarts come up with. Safe travels out there, sir, and we'll see you at Heroes! DAMN, dude!! This is so fantastic! I love it, man! I love the brushwork on this Declan, especially in the face, and I think Batman was a great pick for the week. I like the idea that the only piece of artwork in Chris Samnee's collection that reeks of alcohol was drawn by an Irish guy. How apt. Always awesome, Dec. Your control over the seemingly out of control ink work always amazes me. Hoping I can return to Twart this week! Love the classic, old, old school feel to this one. great to meet you, declan.